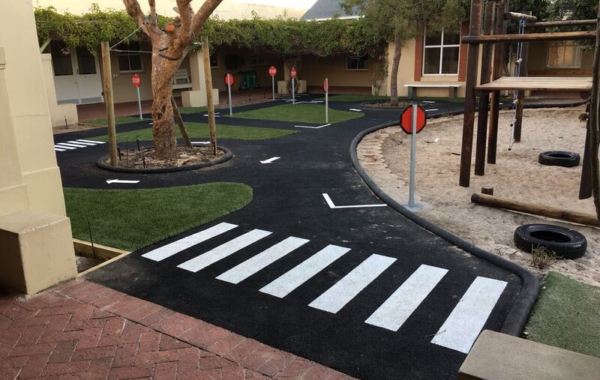 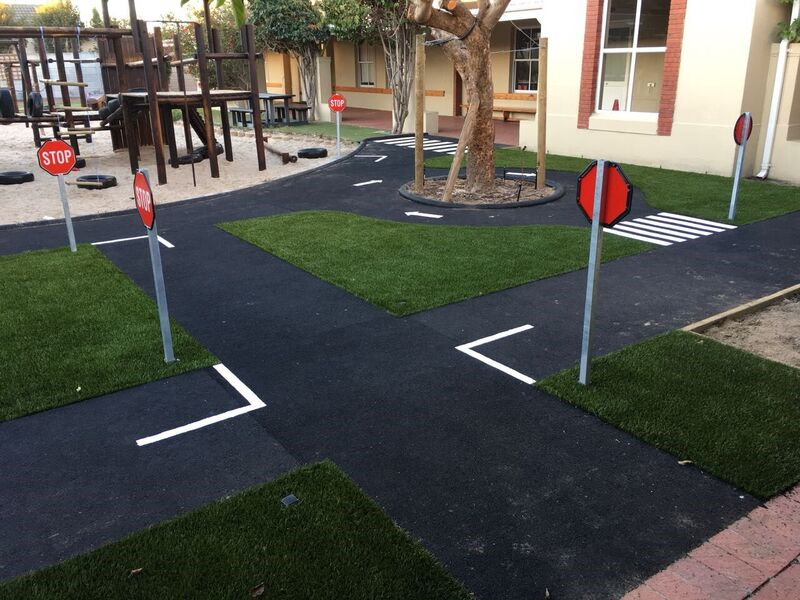 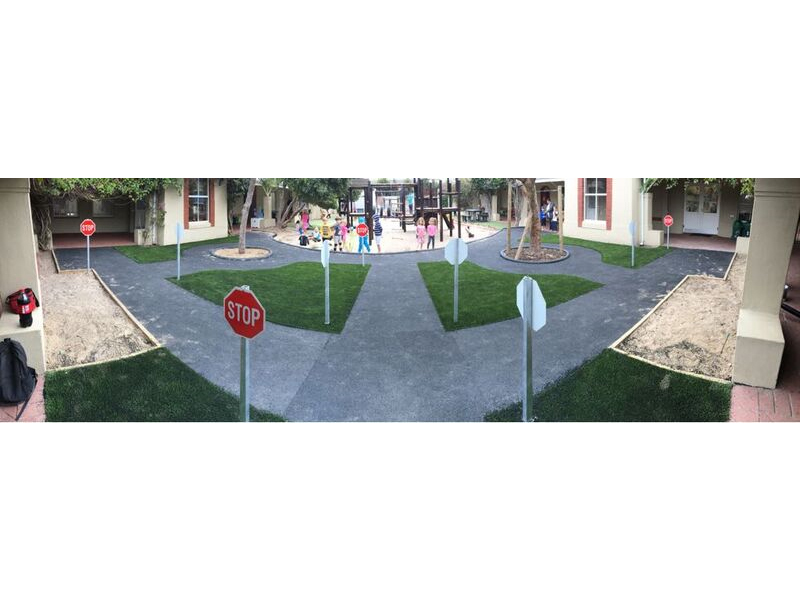 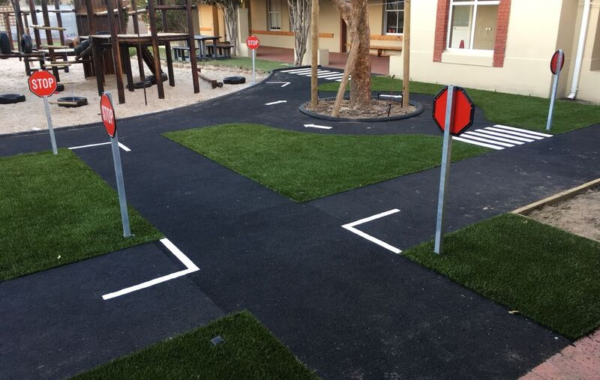 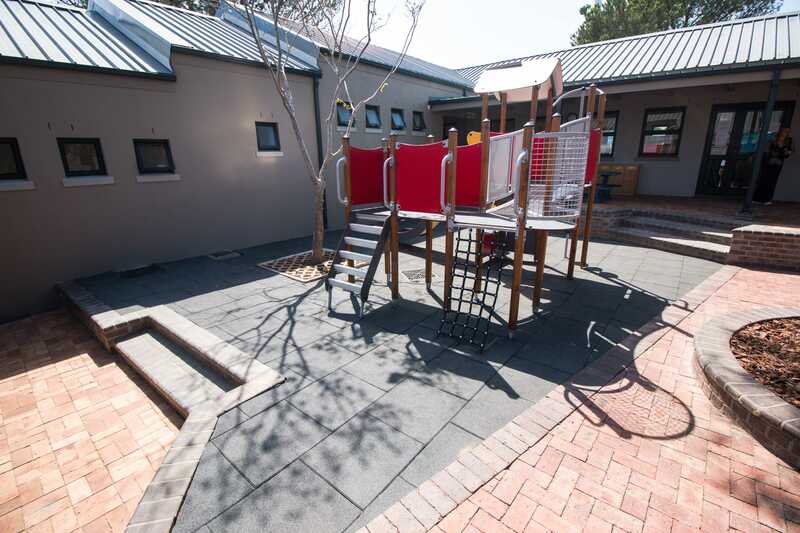 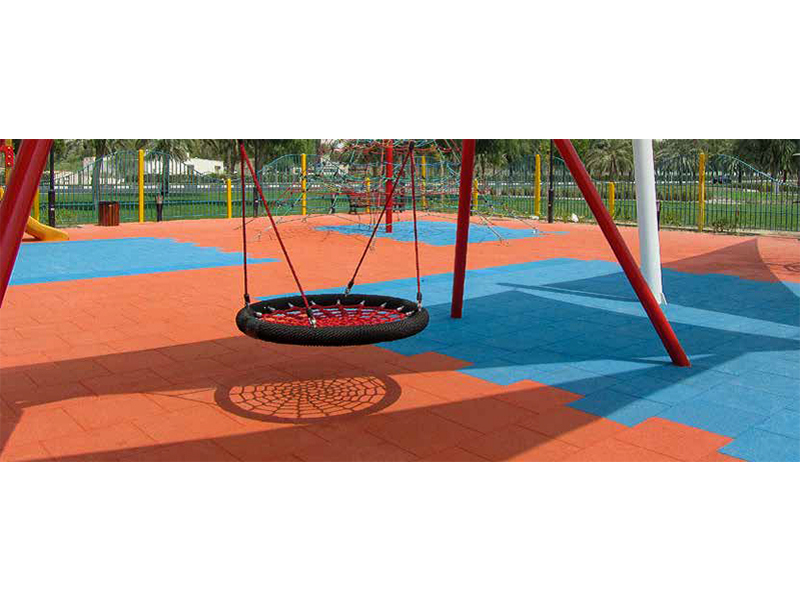 For Playgrounds and Multipurpose Sports Facilities made from recycled rubber. 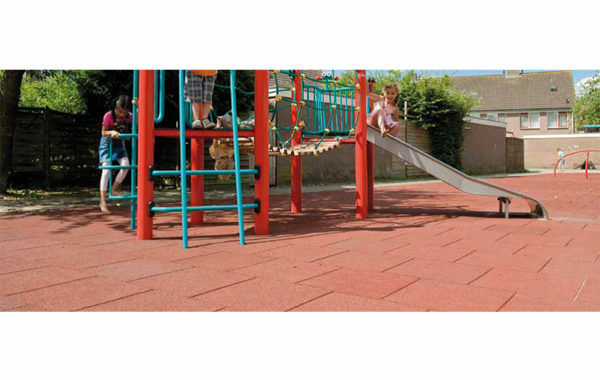 Our slabs come in a thickness of 30mm and can withstand falls from 110cm. 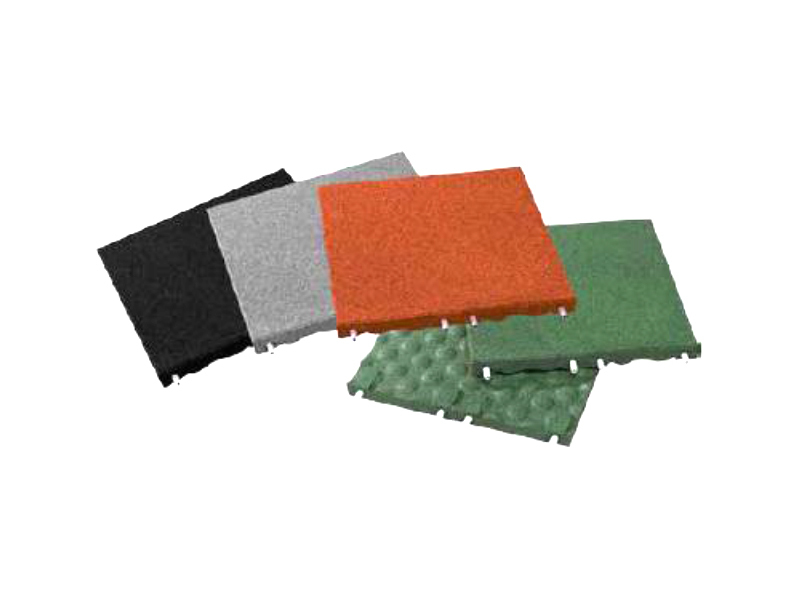 The use of shock-absorbent floor systems is necessitated by the requirements of DIN EN 1177:2008. 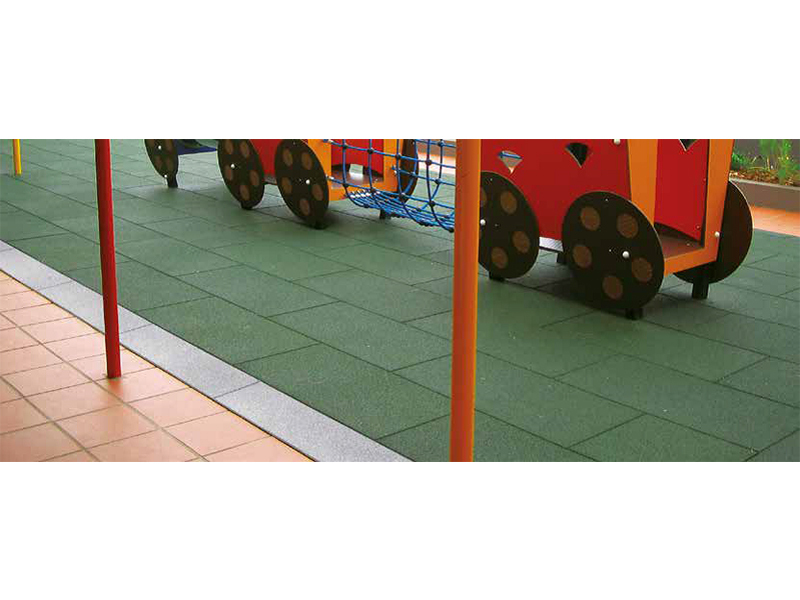 This standard requires shock-absorbent flooring for a fall height of 60 cm or more. 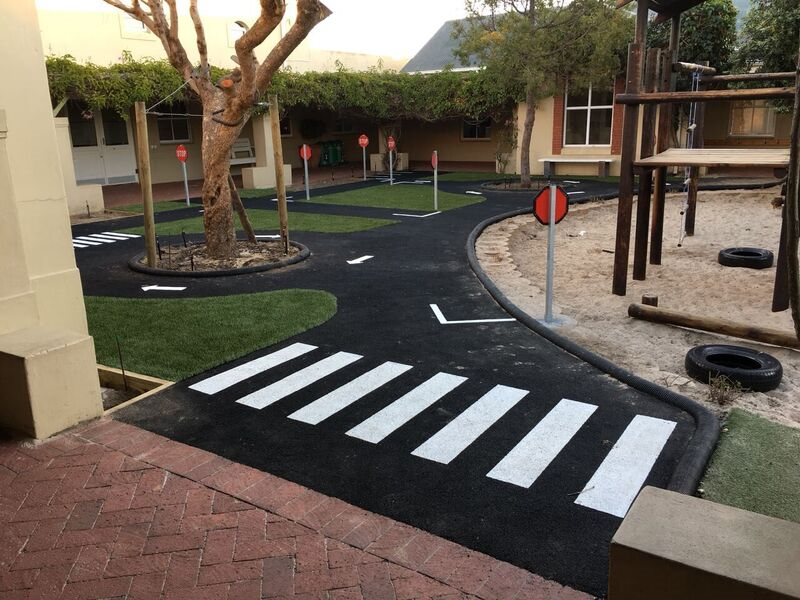 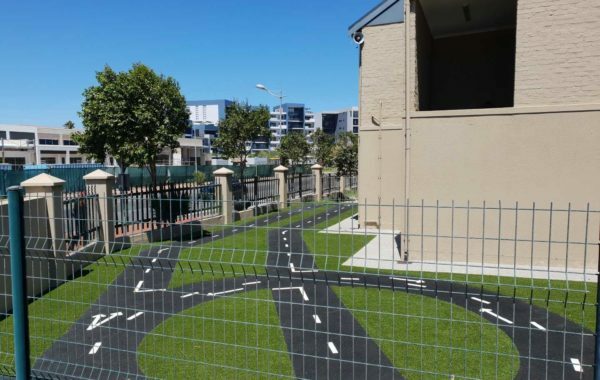 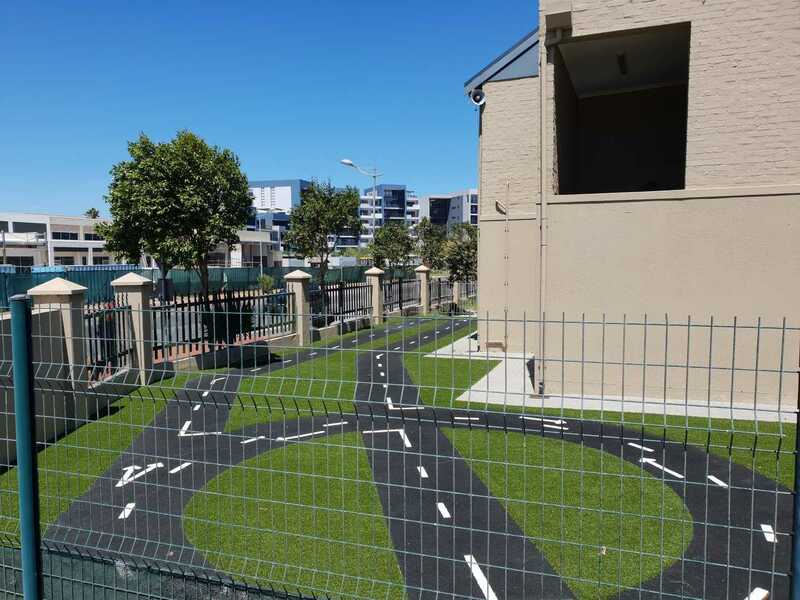 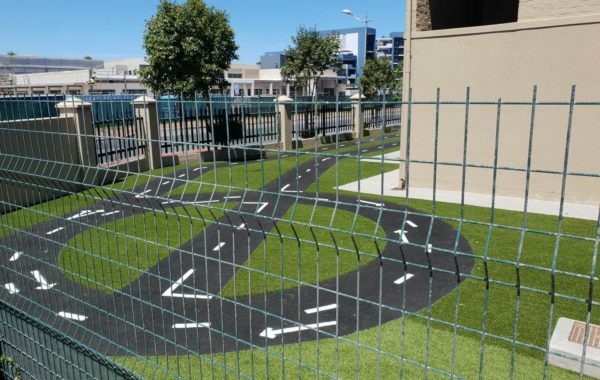 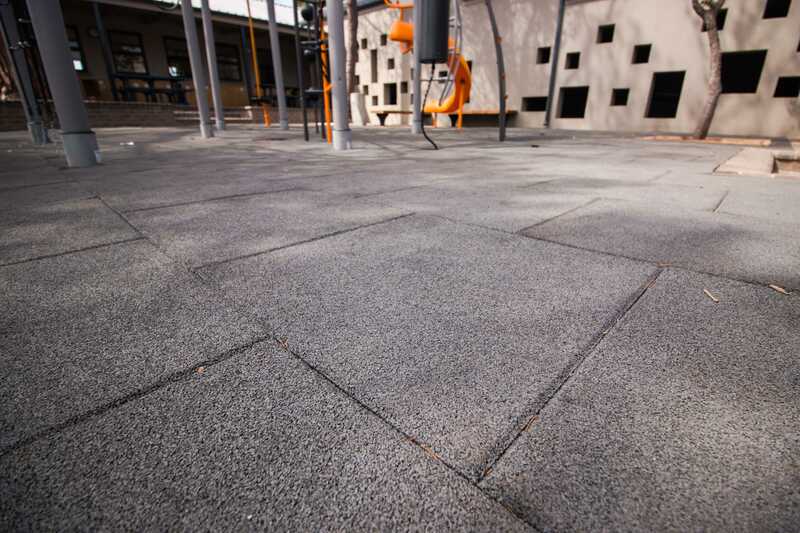 The suitability of Synsport impact protection slabs made of bonded, permanently elastic recycled rubber granules is documented with a test certificate. 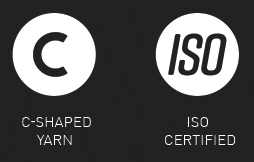 Head Injury Criterion (HIC), is an international parameter for the severity of head injuries. 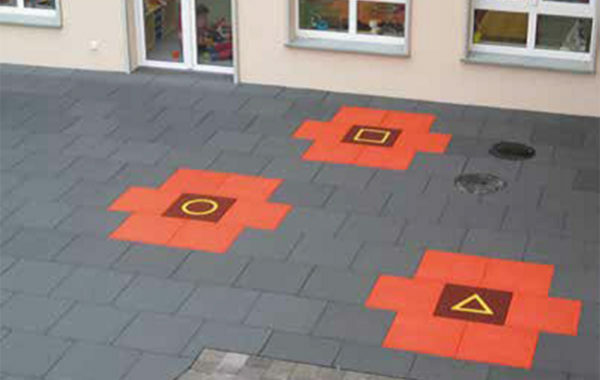 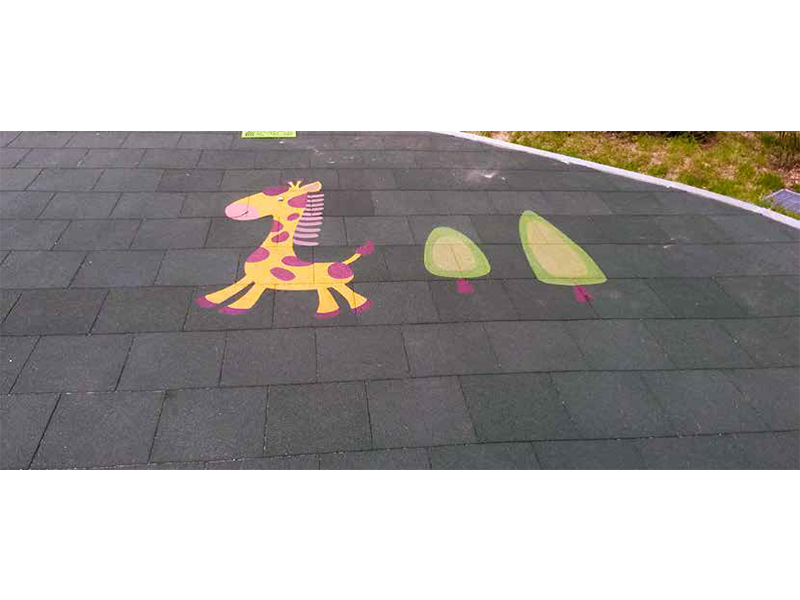 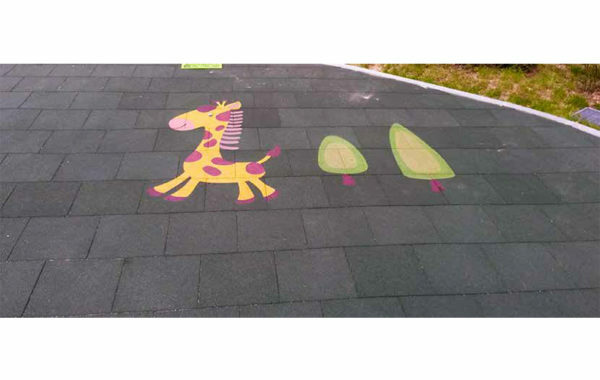 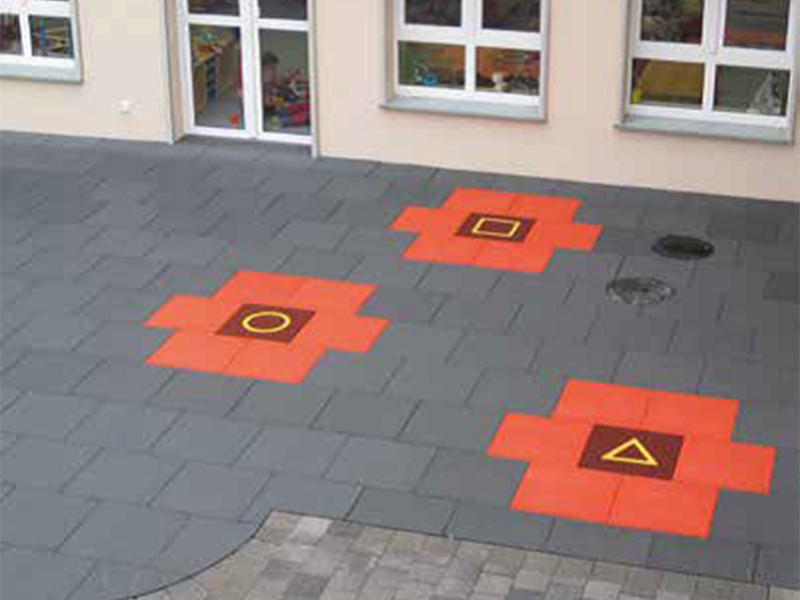 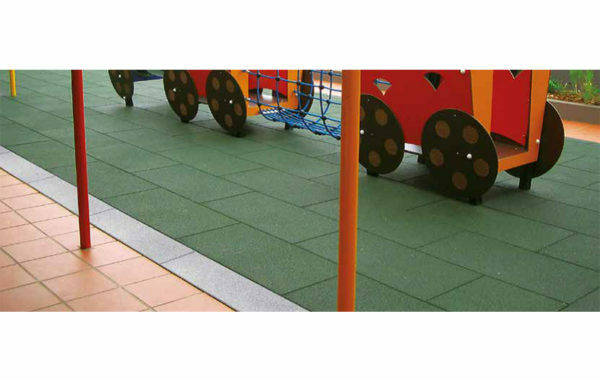 For impact protection materials on playgrounds, the maximum HIC value is 1000. 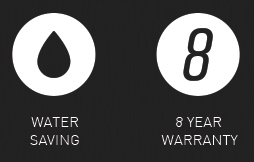 This upper limit ensures that virtually no head injuries with permanent damage can be expected. 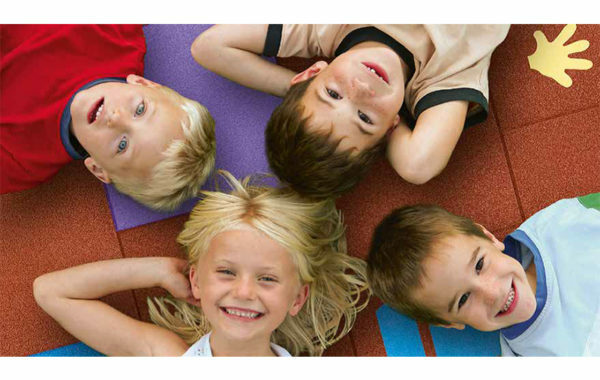 It is important to remember: the lower the HIC value, the higher the protection for the child’s head. 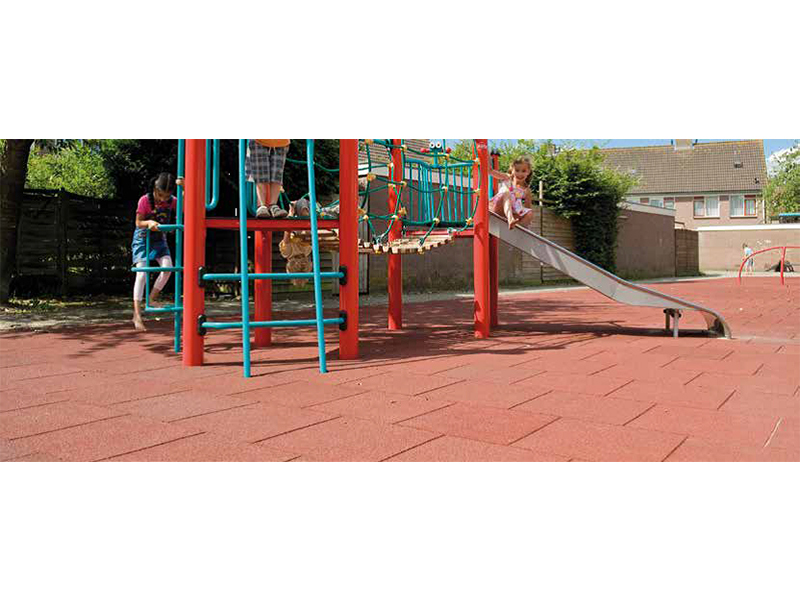 All our Impact Protection Slabs are tested in accordance with DIN EN 1177:2008 to determine the HIC value. 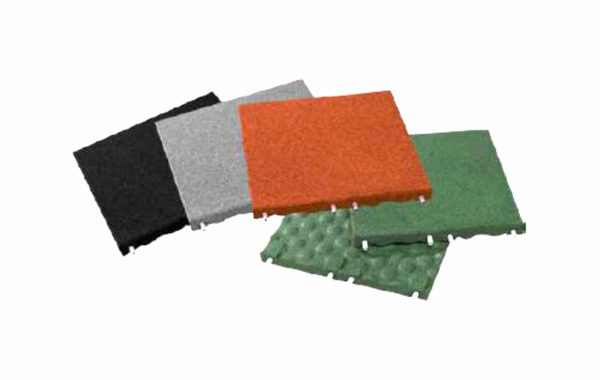 They are also tested in accordance with ASTM-F-1292:2013. The critical fall height is determined by a test arrangement with exact specifications consisting of a series of nine fall tests, in which four increasing fall heights are examined. 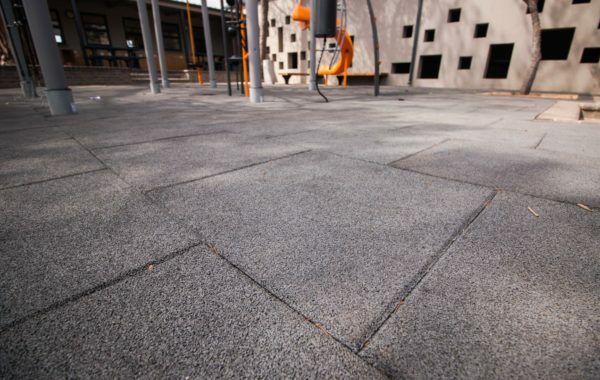 The critical fall height is defined as the lowest fall height that generates an HIC. 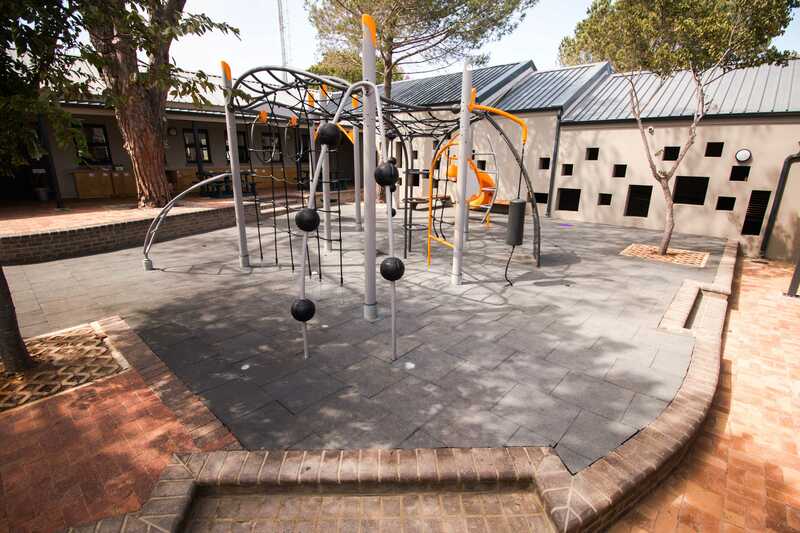 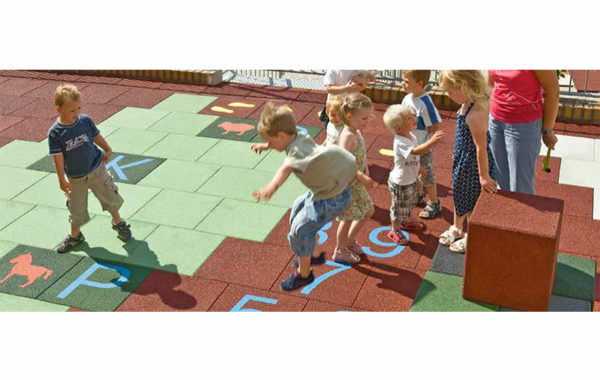 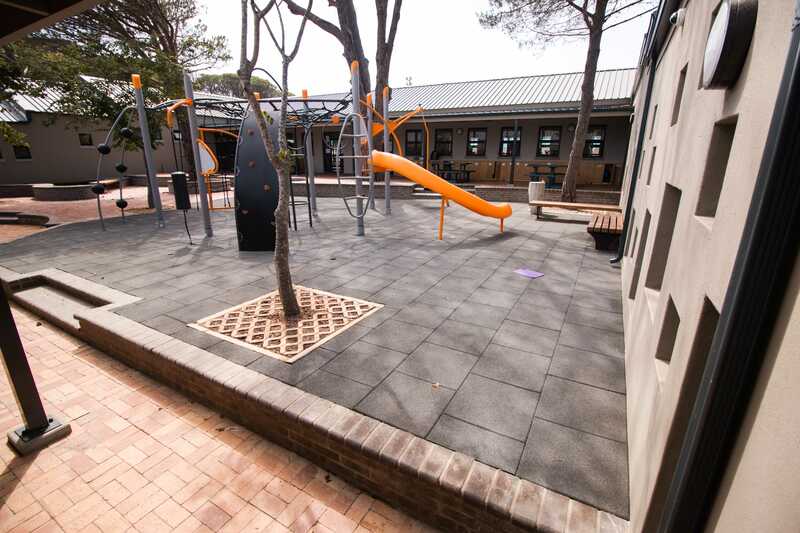 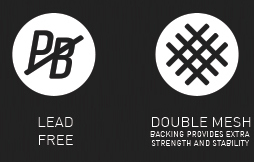 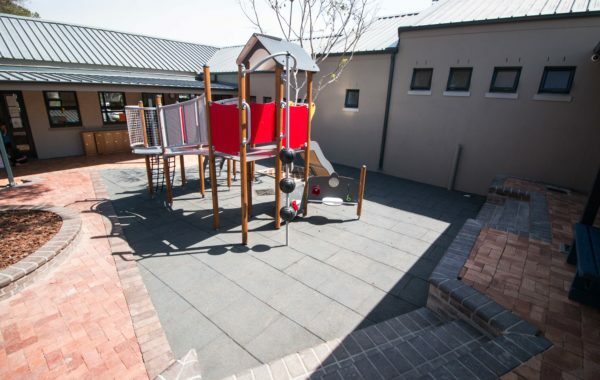 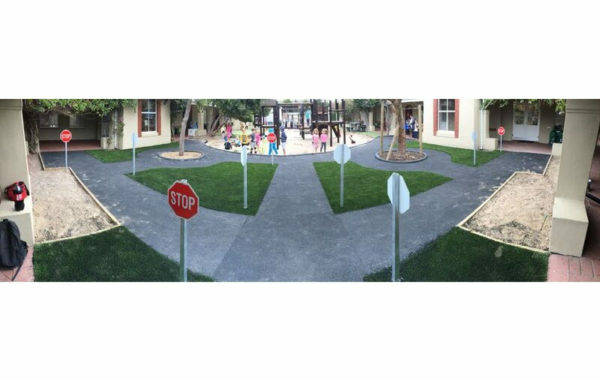 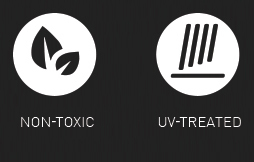 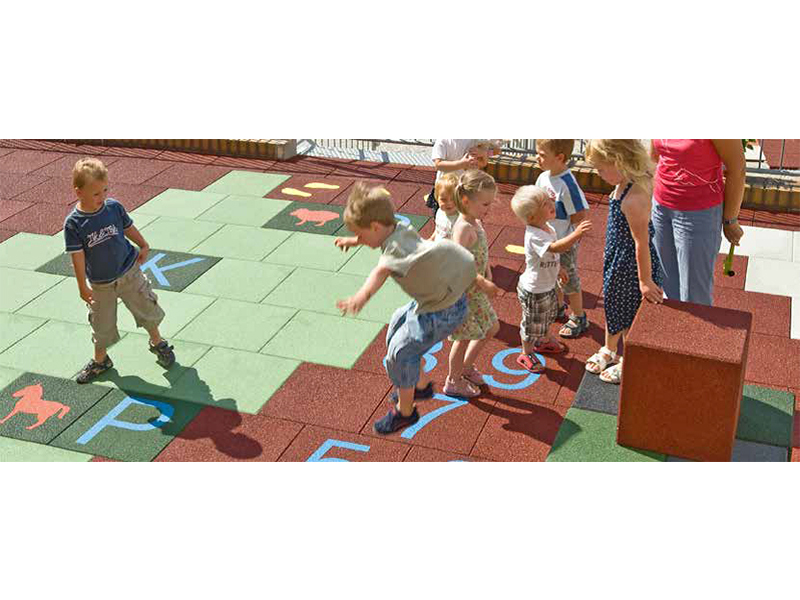 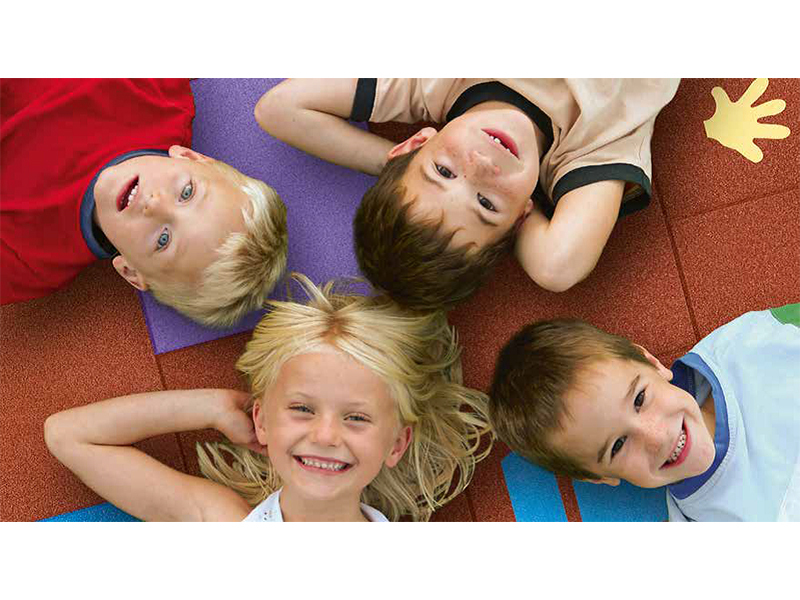 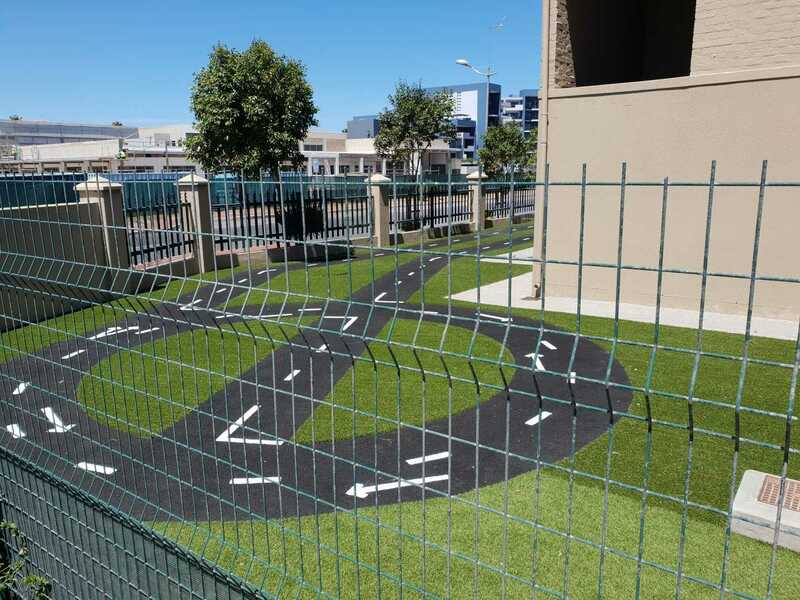 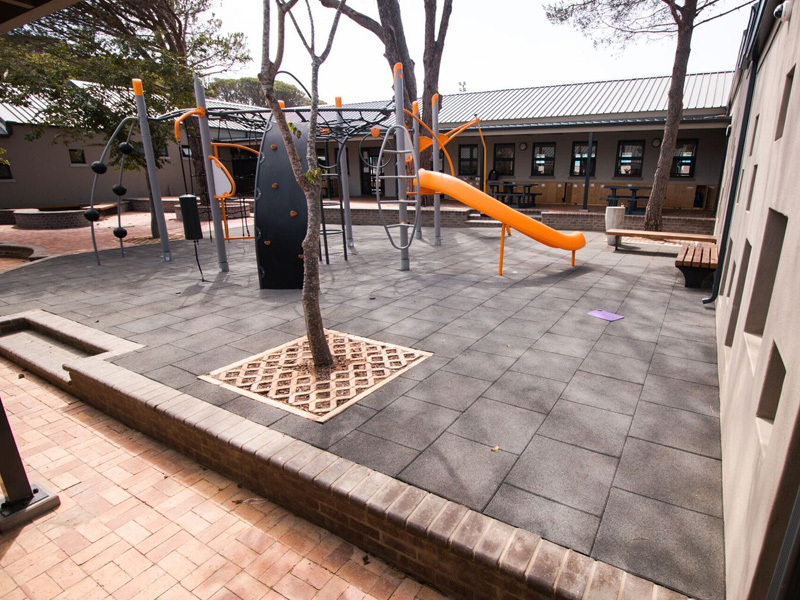 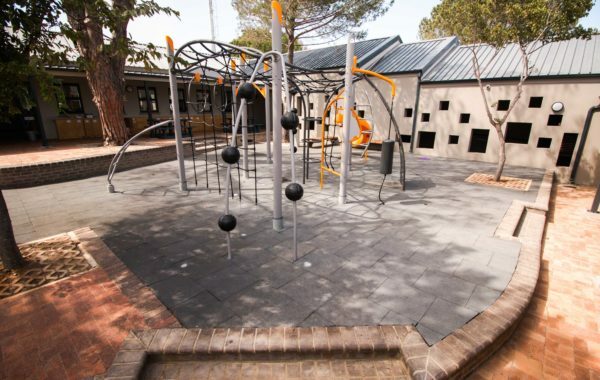 Along with shock-absorbent surfacing systems for playgrounds, our products provide outstanding absorption of impact shock and protect against serious head injuries.